Geek Wraps is proud to be the creator and originator of the micro-fiber edge squeegee. Remember a longer lasting sewn and branded Geek Wraps squeegee will save you time and money in the long run. And they are the only Wrap Squeegees in the world with Geek Wraps Installation Magic built in. 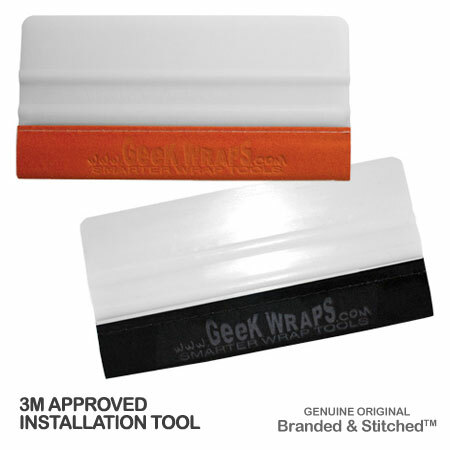 This versatile pair of Geek Wraps® squeegees allow you to work on either wet or dry conditions. The original Soft Edge squeegee together with the Marine series squeegee are a must-have for professional wrap installers. Copyright Geek Wraps, Inc.. All Rights Reserved.